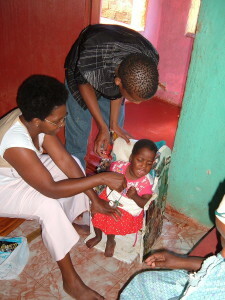 How can we strengthen Primary Health Care for children with Cerebral Palsy in rural areas? Worldwide, the assessment and diagnosis of children with Cerebral Palsy is a complex and contested area, as it relies on access to specialised medical and rehabilitation personnel. In South Africa, these resources are in short supply and usually not available in resource-constrained public health settings. In this learning brief, the Disability Action Research Team (DART) reflects on three successful community-based caregiver training packages, as it begins to make a case for utilizing community resources in the delivery of disability rehabilitation services, particularly in rural communities. Read more here.